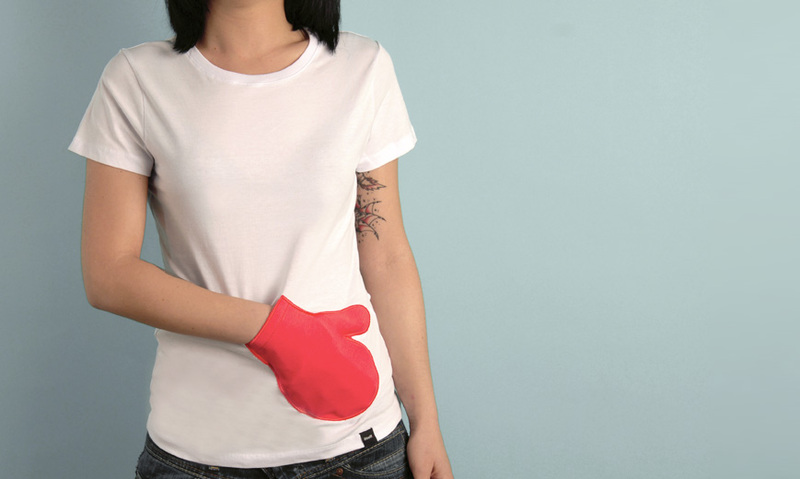 Glove Pocket | T-shirt à manches courtes Femme Blanc | itself. White itself basic t-shirt with an amaranth glove shaped pocket, for practical girls who would like to keep their IDs, banknotes or IPods in a handy place. Also for the coquettish ones who would like to keep their lipsticks or pocket mirrors close by.